The White House is said to be in shock over the recent claims of sexual misconduct made by Brett Kavanugh’s latest accuser. Vanity Fair special correspondent and MSNBC contributor, Gabriel Sherman, took to Twitter to reveal the White House was reeling after the latest allegations against Supreme Court nominee. White House shocked by Avenatti claims. Privately aides involved in nomination saying “this could be end of the line” for Kavanugh, per outside adviser briefed on discussions. After Dr. Christine Blasey Ford agreed to testify before the Senate Judiciary Committee this Thursday, Hill Reporter shared that Attorney Michael Avenatti had appeared on the Rachel Maddow Show with claims that there was a third victim. On his Twitter account, Avenatti added his client had worked for the State Dept, the U.S. Mint, and the Department of Justice. “The GOP and others better be very careful in trying to suggest that she is not credible,” he wrote. 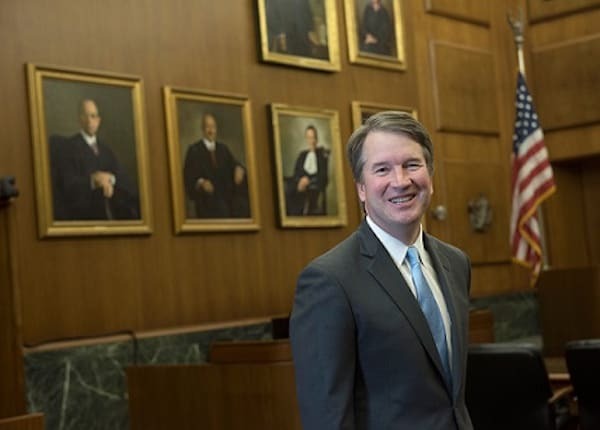 Kavanaugh, without naming any of the alleged victims, has denied the allegations in a statement released by the Associated Press on Wednesday. “This is ridiculous and from the Twilight Zone. I don’t know who this is and this never happened,” he said. Donald Trump took to Twitter to attack Michael Avenatti, calling him a third-rate lawyer.